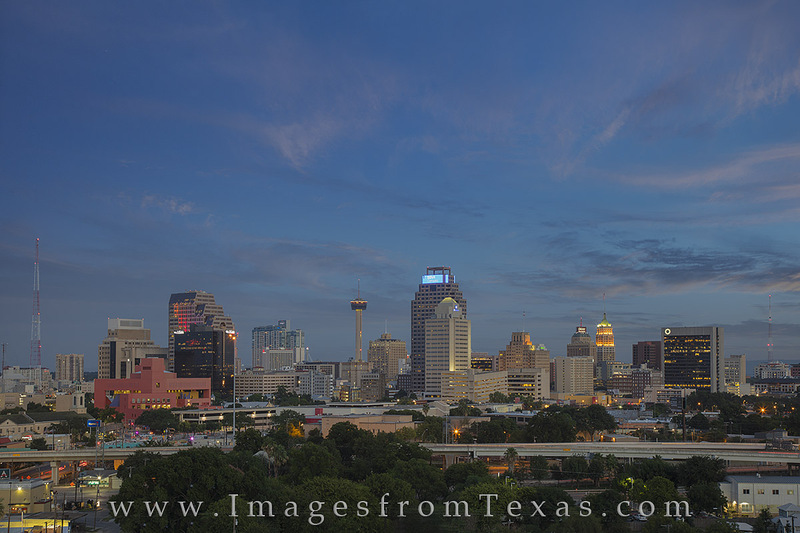 Sunset brought soft wispy clouds to the San Antonio Skyline. Because this view faces southest, the colors don't light up as much very often. Still, this cityscape is nice and features nice highrises as well, including the Tower of the Americas (750'), the Marriot Rivercenter (546'), and the Weston Centre (444'). Photo © copyright by Rob Greebon.